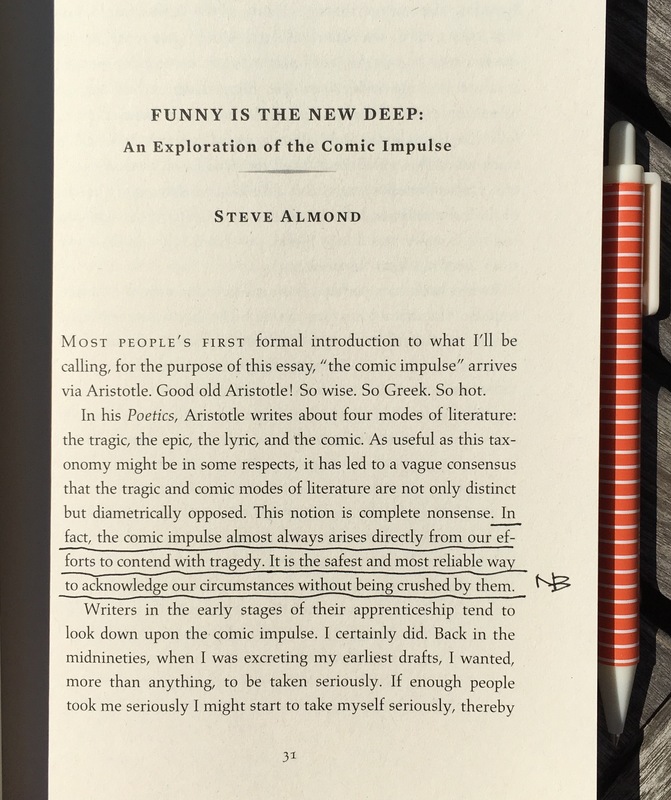 “Writers in early stages … tend to look down upon the comic impulse”, says Almond, and I think he is right. Writers are afraid of not being taken serious. But the thing is: Comedy is not stupid, it is – maybe – the best way to connect with difficulties. And just imagine what Beckett, or say Kafka, would have been without comedy? Oh, I think that is true. And also out of anger comes humor. The comedy that comes from fear, though, fails. By the way, if you are in the US in Brooklyn, I wish we could meet! NYC is less than 2 hours from me and I go often. But at any rate, enjoy your stay!